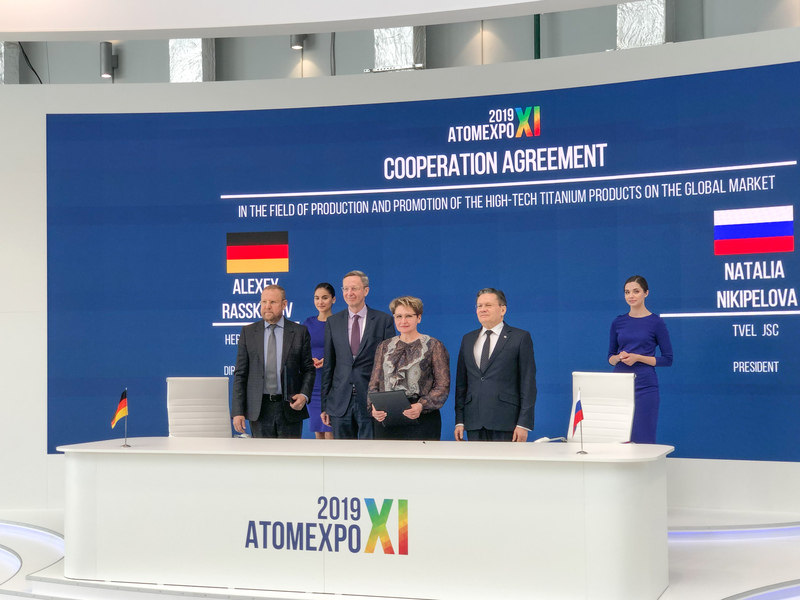 Russian state nuclear corporation Rosatom’s fuel company TVEL has signed a cooperation agreement with German titanium supplier Hermith to create a joint venture for manufacture of titanium products with a high added value, TVEL said. The venture will sell its products to aviation, car, and pharmaceutical companies, TVEL said, adding that the agreement also encompassed promotion of the companies’ products on the European market and on other promising markets. The company also quoted its President Natalya Nikipelova as saying that the goal of TVEL’s strategy was to raise revenue from non-nuclear businesses by 1100% until 2030 as compared with more than 13 billion rubles the company received in 2018.